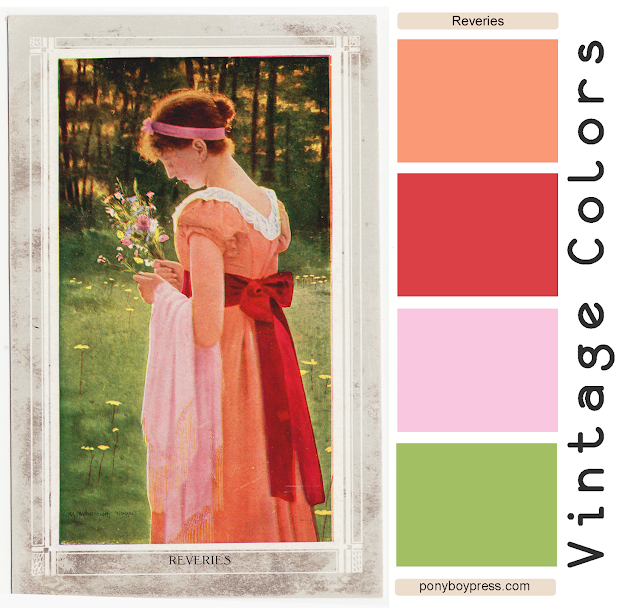 I was scanning this postcard to post for sale on The Cedar Chest and was overcome with the colors. I love these colors and love them together. 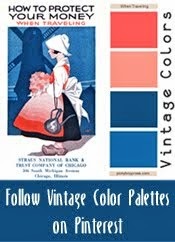 You would see these color combos a lot in the 1940's bark-cloth fabrics (which is when this postcard was made) but you seldom see them anymore, especially together. I don't care that they're not popular anymore. I like them. I mean, really, don't we all need some nice rich maroon in our lives. 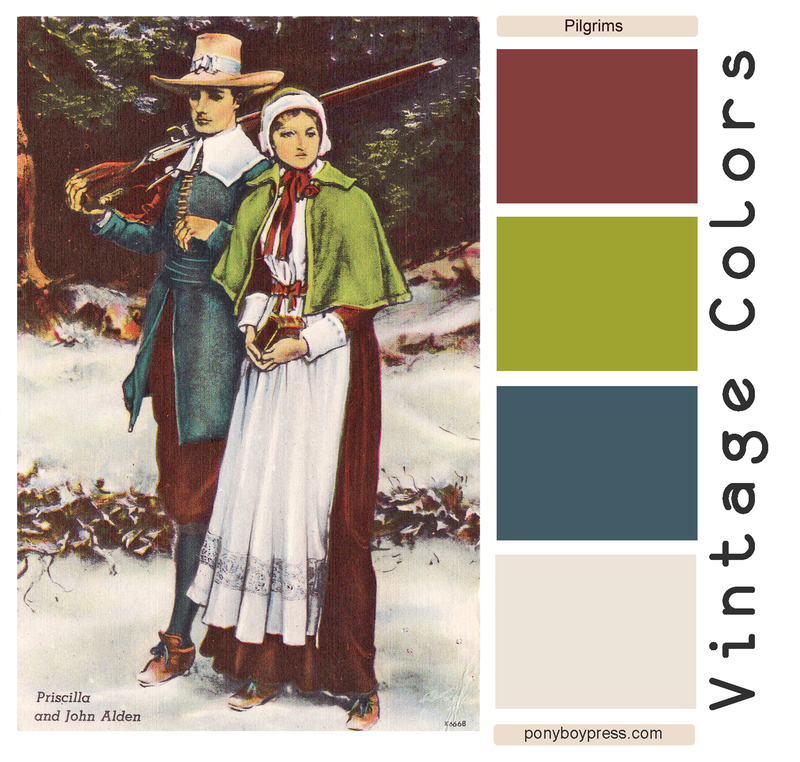 To find out more about this card and who thee pilgrims are, check out the listing on The Cedar Chest. Stopped at the train tracks today on a golden October afternoon. 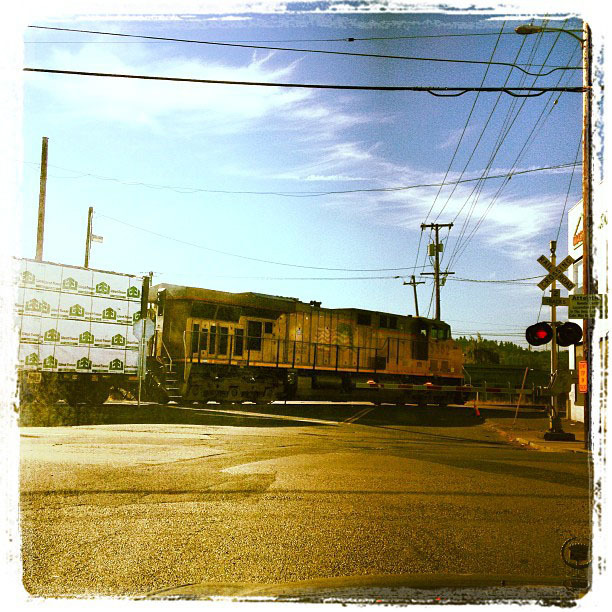 I took pictures of the train and immediately thought of the Kerouac prose piece October in the Railroad Earth. It's about his days working on the railroad in San Francisco, which he often calls Frisco (I think he was the last person allowed to call it Frisco). His time on the railroads didn't really last too long, like most of the stuff he did, but, like a good writer, he got lots of material out of it. THERE WAS A LITTLE ALLEY IN SAN FRANCISCO back of the Southern Pacific station at Third and Townsend in redbrick of drowsy lazy afternoons with everybody at work in offices in the air you feel the impending rush of their commuter frenzy as soon they'll be charging en masse from Market and Sansome buildings on foot and in buses and all well-dressed thru workingman Frisco of Walkup ?? truck drivers and even the poor grime-bemarked Third Street of lost bums even Negroes so hopeless and long left East and meanings of responsibility and try that now all they do is stand there spit- ting in the broken glass sometimes fifty in one afternoon against one wall at Third and Howard and here's all these Millbrae and San Carlos neat-necktied producers and commuters of America and Steel civilization rushing by with San Francisco Chronicles and green Call-Bulletins not even enough time to be disdainful, they've got to catch 130, 132, 134, 136 all the way up to 146 till the time of evening supper in homes of the railroad earth when high in the sky the magic stars ride above the following hotshot freight trains-it's all in California, it's all a sea, I swim out of it in afternoons of sun hot meditation in my jeans with head on handkerchief on brakeman's lantern or (if not working) on book, I look up at blue sky of perfect lostpurity and feel the warp of wood of old America beneath me and have insane conversations with Negroes in several-story windows above and everything is pouring in, the switching moves of boxcars in that little alley which is so much like the alleys of Lowell and I hear far off in the sense of coming night that engine calling our mountains. I've had Kerouac and the Beats in my head because I am currently cleaning out my storage unit and I have boxes filled with many books on Kerouac and the Beat Generation writers. Most of them were bought in the Bay area in the 80's and 90's. I am selling some on The Cedar Chest shop right now and will probably list more soon. I remember one night around 1995. I had been reading Carolyn Cassady's memoir of her time with Neal and Jack (It's called Off the Road and I remember it being one of the best books I'd read about that time) and one night I had a particularly vivid dream that I was there in that apartment hanging out all night with Jack, Carolyn and Neal, drinking, dancing and taking pictures. The one scene I remember the most was Jack sitting on the floor cross legged (I was standing up looking down at him) in a light blue-grey sweatshirt and he just wouldn't shut up. He was really obnoxious. 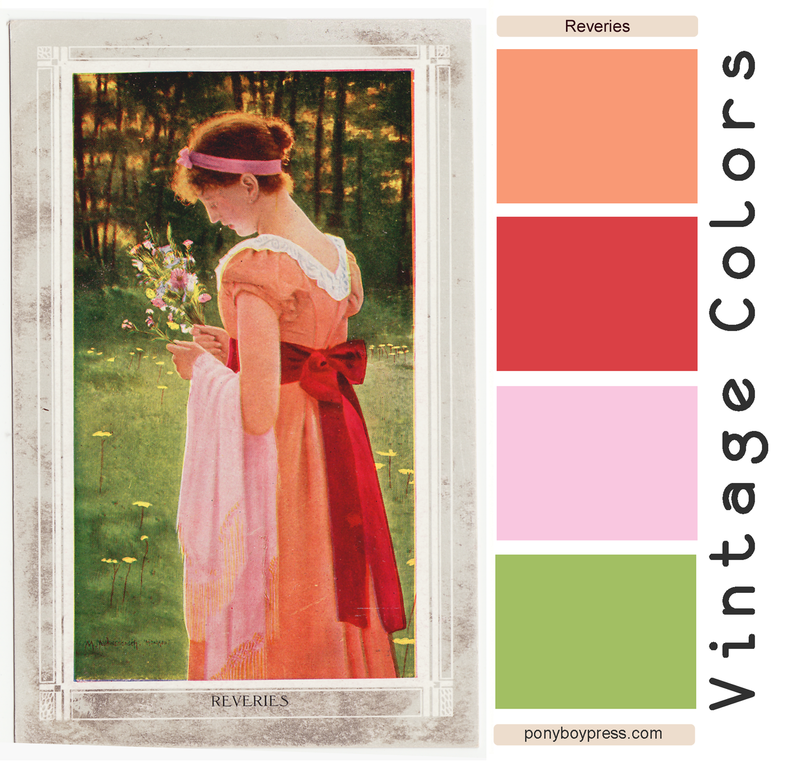 In the midst of the beginning of fall I am bringing you this pretty spring vintage postcard. Such a lovely image and the colors are awesome. 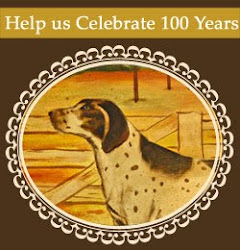 There's no date or writing on this postcard, but I would guess it is from around 1910. There are a number of people or groups that I am and have always been interested in. Every couple of years my obsession will get rekindled and I will delve into it again. One of these deep interests is Mary Shelley, her family, friends, influences and of course, her book, Frankenstein. Mary Shelly was 16 when she met Percy Bysshe Shelley, an already married man of 21. They had an affair and then he left his wife for her. At the age of 19 on a June night, Mary, Percy, John Polidori and Lord Byron were staying at a country estate and there was a terrific storm. Byron suggested they all write scary stories. That night Mary conceived of Frankenstein (and Polidori started the first book on Vampires). Instead of reading Frankenstein again, which I do sometimes when the itch hits me, this year I'm reading a new to me book about "the curse" of Frankenstein and that night called The Monsters: Mary Shelly and the Curse of Frankenstein. This book basically tells the story of all involved that night, including the back story of their parents and upbringing. Mary was the daughter of famous political writers, Mary Wollstonecraft and William Godwin. Both parents believed in the full rights of women. 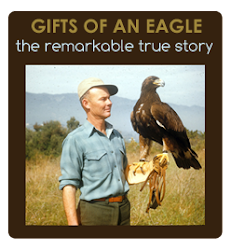 They didn't believe in marriage and encouraged open relationships Godwin also believed that women and men were not supposed to live together. He felt that each person's privacy and peace was more important. It's been many, many years since I read the biography of Mary Shelley, and I'm sure I've forgotten most if it. I'm only still at the beginning of the books but so far I have already read some pretty crazy stuff. For example: When Mary's mother was dying after she gave birth to her, they thought her milk was poisoning her and put puppies on her breasts to drain the milk. Um, what? Frankenstein is about so much more than most people think and certainly much more political and deep than the movies show. I recently saw The Bride of Frankenstein and it always breaks my heart when the Doctor just walks away and despises his creation. This to me is the one of the big lessons of Frankenstein. Responsibility. Mary was writing in part about the Industrial Revolution and the fear that machines would take over the work of people. But, there is so much more to this novel. My obsession right now with Frankenstein has, of course, also resulted in a Frankenstein Pinterest board, too. Some neat images are there. Check it out.